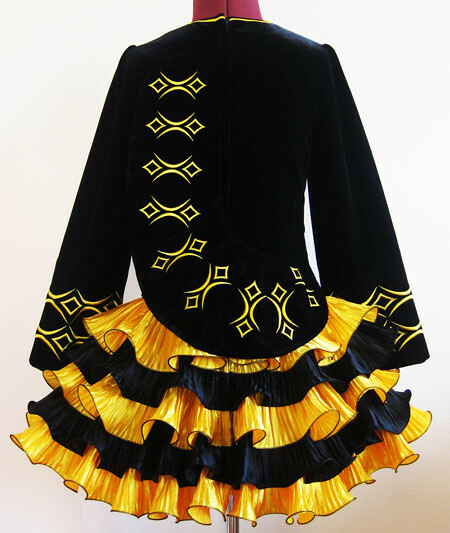 Black lightweight velvet bodice, sleeves, and shawl. 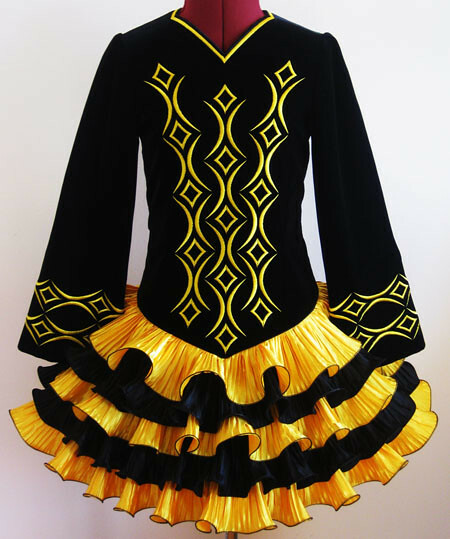 Bright bumblebee yellow embroidery on bodice, sleeves, and shawl. 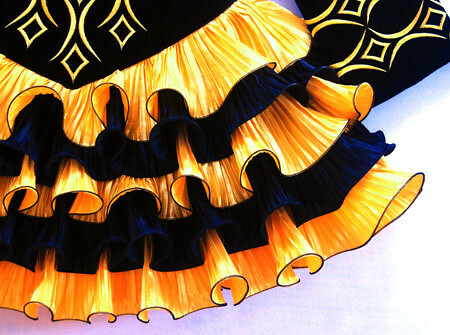 Pretty bumblebee yellow and black pleated cupcake skirt ruffles with black trim.